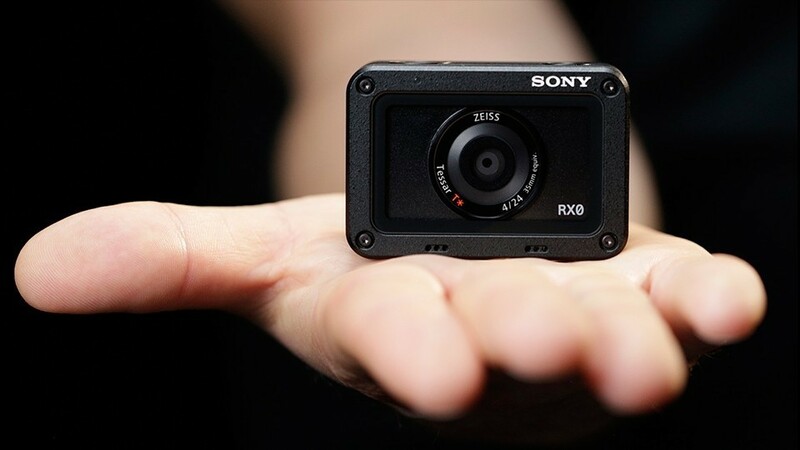 Sony has launched a game changer camera – RX0, upping its game from the widely popular cyber-shot. This powerful shockproof, crushproof and waterproof device is tiny as a match box unlike its predecessors cyber shot compact camera and the interchangeable mirrorless cameras. Sony has leveraged the still technology and video technologies from its RX100 series in this 59mm x 40.5mm x 29.8mm (W x H x D) and very light 110g weight small power beast and stepped towards the next generation evolution of cameras. The smaller size is for the user-friendliness with the aim that videographers and photographers can carry the device with ease. 0-type stacked 15.3-megapixel, 1-inch Exmor RS CMOS image sensor and Sony’s high speed Bionz X image processor. Zeiss f4 T* lens with narrower field of view (it’s about the same as DSLR/ other mirrorless kit lenses at 24mm in 35mm terms). Capable of shooting up to 960 fps to 1000 fps for super slow videos and 1/32,000 super high shutter speed. Built in Wi-Fi functions allows the users to remotely control up to four additional RX0 cameras. Sony offers free ‘Play memories’ mobile apps for the remote-control feature available in playstore. Other notable features include intelligent AUTO (i-AUTO), temperature selection, multi-frame noise reduction etc. The accessories that will ship with it at launch are the VCT-CGR1 Cage, the MPK-HSR1 Housing (to increase submersion range to 100 meters), VF-SPR1 Spare Lens Protector, VFA-305R1 Filter Adaptor Kit, plus the NP-BJ1 Rechargeable Battery Pack and ACC-TRDCJ Accessory Kit. Most distinct feature that is preloaded with the new Sony RX0 is its shockproof and crushproof ability – being able to withstand drops of up to 2m in height and pressure of up to 200kgf/2000N. The camera is waterproof up to 10m of depth but can go as deep as 100m underwater when paired with MPK-HSR1 Housing, available as optional purchase. Sony RX0 was launched today in Malaysia at a price of RM 3,199 roughly converted in Bangladeshi currency as BDT 62,527 but the availability date in Bangladesh is yet to be known. Bangladeshi Sony RX0 fans would have to wait a while to try out this latest endeavour of Sony and experience whether Sony had performed up to their promise or not.